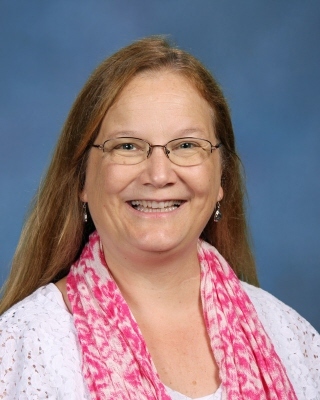 Maureen May is the orchestra director and AP Music Theory teacher, directing various strings classes. She also sponsors the Coffee Club. In addition to her duties at TPS, Ms. May is the founder and artistic director of the Metropolitan Area Youth Symphony (MAYS), a multi-level youth orchestra system with over 200 members from nine Central Florida counties. Ms. May sits on the board of directors for The Jonathan May Foundation, which is dedicated to providing opportunities in orchestral music education to students of MAYS. Ms. May is also an active performing musician, playing in the Orlando Philharmonic Orchestra and Bach Festival Orchestra, where she has been a featured soloist. She is often asked to perform for touring artists, including Andrea Bocelli, Luciano Pavarotti, Smokey Robinson, and Robert Plant. In addition, Ms. May was elected by the musicians of the OPO to serve as president of the Philharmonic’s Musician Board Members. In this capacity, she sits on the Executive Board of Directors, the Artistic Advisory Committee, and the Plaza Board. Ms. May established the Canyon Youth Orchestra in Colorado and the Cumberland String Project in Tennessee. Additionally, Ms. May has served on the faculty at Moorhead State University and Tennessee Technological University. In Florida, Ms. May was the orchestra director at Maitland Middle School and Winter Park High School, started the strings program at Park Maitland School, and taught at Millennium Middle School. Ms. May resides in Winter Park. She spends her spare time with her wonderful friends and family and her cat, Gibson. All four of her children graduated from Trinity Prep: Emily Costa ‘05, Elliot ‘07, Allison ‘09, and Nathan ‘12. When they all lived at home, they made a wonderful string quintet.